It may sound crazy to purposely introduce more mosquitoes into the air, but that's exactly what the small British company Oxitec is doing. 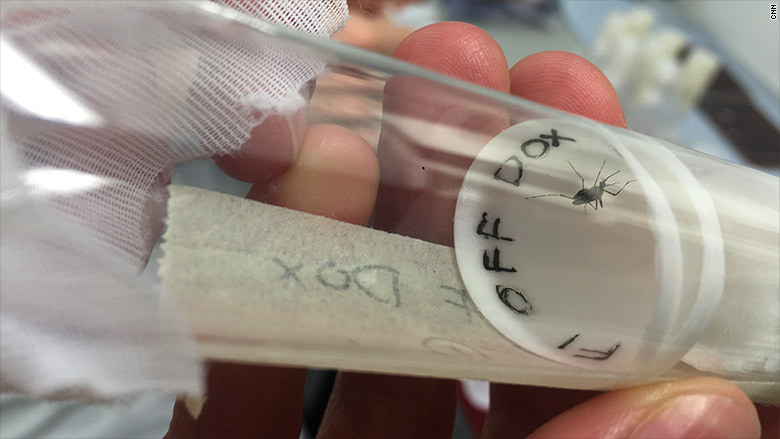 Oxitec -- a subsidiary of the biotech firm Intrexon (XON) -- is working to control the mosquito-borne Zika virus outbreak in Brazil with its genetically modified mosquitoes. 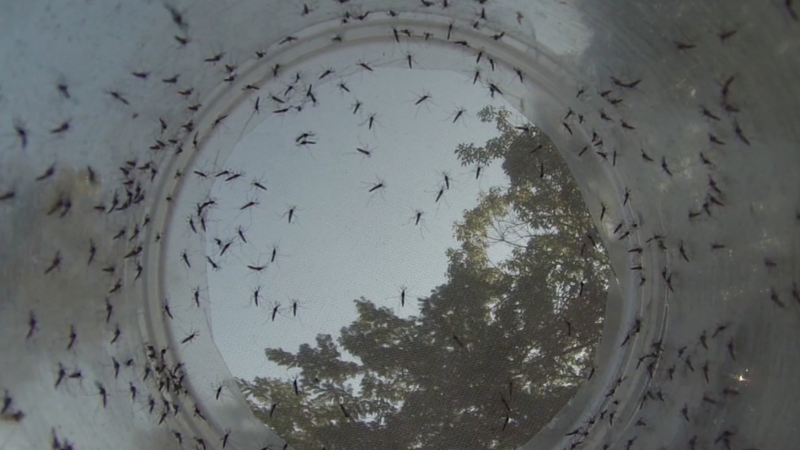 The firm breeds special male mosquitoes that are released into the air and help stop the spread of Zika by passing along a gene to their offspring that make them die young. Oxitec said tests in Brazil, Panama and the Cayman Islands cut down the targeted Aedes aegypti mosquito population by over 90%, which helps stop the spread of Zika, dengue and chikungunya viruses. The latest Oxitec test in Piracicaba, Brazil, cut the targeted mosquito population by 82% in a matter of months -- leading the city to announce last week it would expand its project with Oxitec and allow the company to build a new mosquito-making factory in the area. The Zika virus, which has spread to at least 25 countries, is commanding worldwide attention because of its links to birth abnormalities. In most people, symptoms of the virus are mild, including fever, headache and rash. About 80% of infected people have no symptoms. But pregnant women infected with the virus have been found to give birth to babies with a neurological disorder -- microcephaly -- which leads to severe developmental issues and can sometimes be fatal. There is no vaccine or medication to cure the Zika virus. Brazil in particular has experienced an explosion in microcephaly in babies in the past few months as the Zika virus has spread. A smaller outbreak of Guillain-Barre syndrome, a rare autoimmune disorder that can lead to life-threatening paralysis, has also been linked to Zika in a several countries. As concern about Zika has grown, this is a crucial time for Oxitec and its special mosquitoes. But it's not necessarily a profitable endeavor. The company doesn't yet have the necessary licenses to sell its mosquito "suppression service," said Glen Slade, Oxitec's head of business development in Brazil. "We can't sell it commercially," he said, but notes that the company is able to accept "contributions" from customers towards the cost of the service. The city of Piracicaba contributed about 150,000 Brazilian reals ($37,000) towards a project last year that protected a neighborhood of 5,000 people. Now the city and company will discuss levels of contributions for the expanded project that will cover up to 60,000 locals. An Oxitec mosquito in the company's U.K. lab. Even if the profits aren't coming in yet, the company is being supported by its parent firm Intrexon. The Nasdaq-traded company purchased Oxitec in September for $160 million. Certainly as Oxitec works to scale up and commercialize, Intrexon management should be happy to see that demand is certainly there. Slade said there is "intense interest" from Brazilian cities for Oxitec's mosquito projects, and he's fielding calls from private sector players like condos and airports. At present, Brazil is the only nation to grant Oxitec regulatory approval to release the mosquitoes across the country. Other countries are only approving these mosquito projects on a case-by-case basis.